English-language Proofreading & Copy-Editing. In France. Are you translating French into English for a brochure, business document or any other purpose, and need an expert Anglophone view on the result? Are you working in English and require your copy to be edited, proofread, or even written? Then you’re in the right place for these language services. 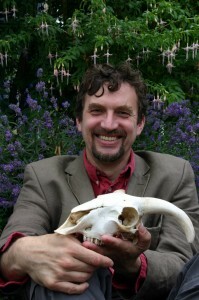 Geoff Holder is an award-winning author of 29 non-fiction books in English, covering topics from the paranormal and mysterious to quirky histories, crime and folklore (his author’s site is here). In addition, he has scripted several television documentaries and hundreds of corporate videos, the latter covering all elements of business and public sector activities. He is also an expert proof-reader and copy-editor for other people’s books and scripts. A member of SOHO-SOLO, moving from Scotland to sunny south-west France has not made him any the less grumpy, but that’s life when you’re a curmudgeonly old git. all kinds – business, marketing, journalistic, official or creative. you get your message over in the most effective manner. proposal, a brochure, or an audio-visual production. Expert talks on everything from the supernatural to Scottish history. In English (simultaneous French translation available if required). Translation Translation of French text into English and then proofing of the English text. Interpreting Live French-English and/or English-French interpretation.